The Tate modern art gallery has announced it’s chosen artist for the turbine hall during the Olympics will be Tino Sehgal. Whilst the exhibition will be running from April to October of 2012 the fact that the Olympics take place during that time is key as the work heads up the Tate’s offering to the ‘London 2012 festival’ which will run from June of 2012. 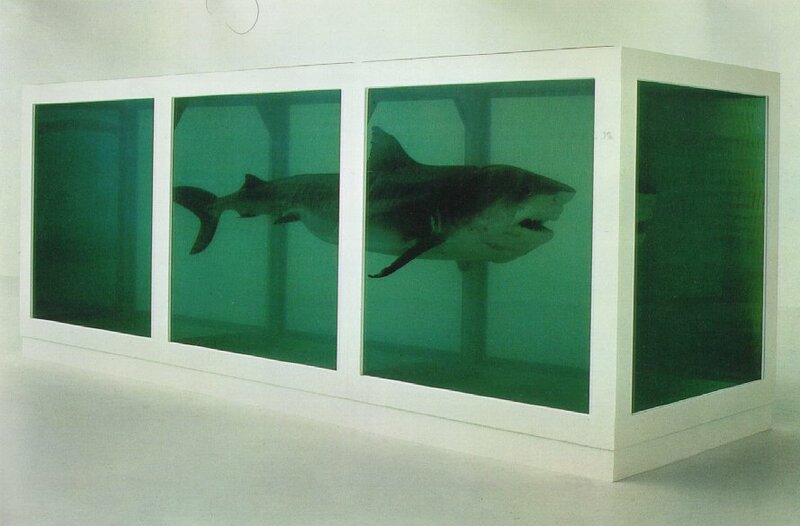 Alongside this will be the first major UK retrospective of British artist Damien Hirst’s work. Perhaps it would’ve been nicer if the Tate had really gone out on a limb for it’s 2012 programming, I’d of loved it if they had decided to fill the spaces with up and coming British artists rather than the works of a multimillionaire artist who has arguably passed the high point of his celebrity and popularity. I know it may not necessarily be the Tate’s style to put on anything other than shows of well established artists and styles, often leaving out the more controversial pieces even within those collections. But is a retrospective really the sort of art which embodies the Olympic spirit? I’m not so sure. On Wednesday last week the rest of the SMJ’s, some of the guys from A New Direction, Chris Skinner , Benji Lanyado and I were lucky enough to go on a tour of the Olympic park, private mini-bus and all! I had a flipcam with me, however the good old British weather and bumpy road surface combined led to some pretty shaky footage which I had assumed I wasn’t going to use. What I’m trying to say is that it’s no masterpiece but it gives a good feel of how far along the park is and some nice facts I picked up on during the tour which was narrated wonderfully by our tour guide Andy. 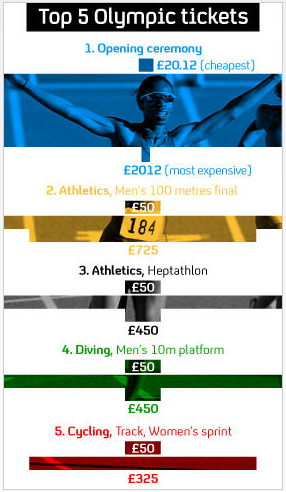 The Olympics aren’t without controversy and so far 2012 has been no exception. This however is one of the stranger stories, in a letter from the NOC (Iran’s Olympic Committee) to the IOC states that the Logo is “racist” because it contains the word “Zion” which is a biblical term for Jerusalem. Whilst encouraging other Islamic countries to boycott the games alongside Iran if the logo isn’t changed. It’s not the first time that the logo has come in for criticism, you may remember it caused epileptic fits in some people who viewed a flashing version of the logo when it was first released, and many say that they just plain don’t like it’s design. Whilst the likelihood is that this complaint will be rejected, it does highlight the difficult position which the Olympics find themselves in. Often on a tightrope between sports, politics, religion and race both the IOC and games hosts must do all they can to at least quell the fears of those with concerns whilst accepting that pleasing a majority is perhaps the best they can hope for. I am afraid that this little nugget of craziness only Boris Johnson could come up with is as usual not a fake, even if it is quite funny. Perhaps I’ve got my facts wrong and they really did rub rhubarb into the wood, in which case I can only wonder at what he said next in an attempt to out do the unbelievable reality in someway. A whole host of exciting pieces of Olympic news have been reported in the last couple of weeks, which I could have blogged on a little better. First came the announcement on the 11th of February that West Ham’s bid for use of the main stadium after the games had been given approval by the OPLC (Olympic Park Legacy Company) , and with approval from Boris Johnson and the Government considered something of a formality. Personally I’m really happy with way things have gone, West Ham far outstripped Tottenham on legacy by keeping the running track in place. On the 14th of February the Olympic schedule was announced , with the opening ceremony on the 27th of July and the closing ceremony on the 12th. The Paralympic schedule is due to be announced later this year. The Velodrome became the first venue in the Olympic Park to be opened on the 22nd of February (click trough the link to see some images, certainly my favourite venue so far) it joins Weymouth Bay and Portland Harbour (Sailing) and Broxborne (Canoeing and Kayaking) in the list of completed Olympic venues. Here at Headstart we’ve been busy and today I was lucky enough to interview Nathan Hanson, a fellow member of the Social Media group and a young athlete. We spoke about what he thinks should be done with the Olympic Park after the worlds media, spectators and athletes have packed up and gone home. An audio preview of the interview. Nathan believes that the key part of the Parks’s and the Olympic legacy as a whole is making sure that the space is used for community projects and sports. For many Londoners, Nathan included, ensuring that the Olympics help to foster the talents of tomorrows as well as todays aspiring athletes for many years to come is what will truly make the games a once in a lifetime event. As you may have heard the Olympic Stadium is up for sale, with two bids for LOCOG to consider, one from Totenham Hotspur and the other from West Ham. Totenham Hotspur argue that their bid is more financially viable than that of West Ham’s who may face relegation this season. Totenham’s bid involves reducing capacity to 80,000 , and removing the running track. Some say this runs counter to the comitments made by London of a strong legacy and space for athletes. Totenham’s instead propose renovating crystal palace running facilities to ensure a legacy. This map shows just how close Orient is to the Olympic Stadium.